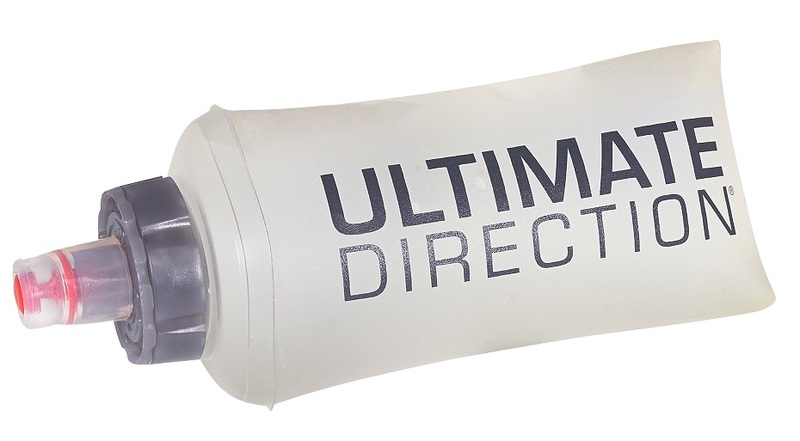 A bigger version of the original, the Body Bottle Plus carries more life-source and has a wider screw-top to make it easier to add ice cubes or powders. 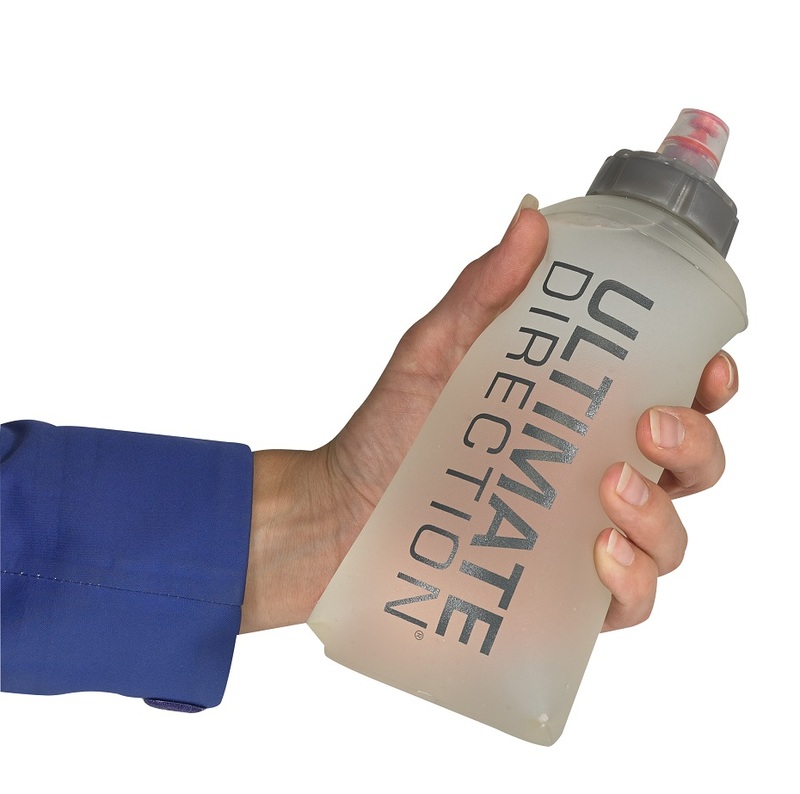 It has a squared-off base which allows it to hold 17oz (500ml) of hydration concoction while still fitting in all UD vests. It’s still a soft flask which doesn’t slosh around and gets more compact as you drink. The cap even has a thoughtful lock switch so it doesn’t leak until you want it to. The Body Bottle Plus all adds up. BPA-Free plastic is rugged and pliable. Large lid for adding things to your water. 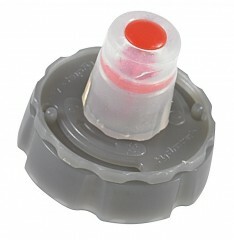 Cleanable by placing in a dishwasher. Hi-Flow bite valve means big gulps. I got these to replace the Salomon narrow mouth flasks. The wide mouth is excellent for racing or cold days when you don't want to struggle removing lids. The bottom is totally soft which makes rolling up and stuffing into books easy. Still haven't found a good insulating mechanism but I'm sure someone has one.